Description: Applicants must be one-quarter Northern-Native American Indian and enrolled in undergraduate studies at a university, junior college, or technical school. Applicant needs to maintain at least a 2.25 GPA. Description: Scholarship is open to female graduating high school seniors who wish to attend a women’s college in the United States. Applicants must have a GPA of 3.7 or higher. Description: Contest is open to girls and boys in grades 3-12. Applicants will submit an essay on a given topic related to engineering design and subsequent problem solving. Description: Scholars program is open to full-time junior-level students at four-year institutions pursuing a bachelor’s degree during the 2018-2019 academic year. Applicant must have an extensive record of public and/or community service and be committed to a career in government or in public service. Description: Contest is open to high school students in grades 9-12. Student will create a commercial geared at middle school students to educate them on the dangers of underage drinking or distracted driving. Description: Scholarship intends to recognize African-American and minority students who are currently enrolled full-time at a traditional four-year college or university, preferably a HBCU, and show outstanding scholarship and leadership. Description: Scholarship is open to new and current students who love hair coloring and are currently or will be attending an accredited beauty school. Description: The DAR Good Citizens Award and Scholarship Contest, created in 1934 recognizes and rewards individuals who possess the qualities of dependability, service, leadership, and patriotism in their homes, schools, and communities. These students are selected by their teachers and peers because they demonstrate these qualities to an outstanding degree. Description: The Dr. Aura-Lee A. and James Hobbs Pittenger American History Scholarship is awarded to graduating high school students who will pursue an undergraduate degree with a concentrated study of a minimum of 24 credit hours in American History and American Government. Renewal is conditional upon maintenance of a GPA of 3.25. U.S. Citizens residing abroad may apply through a Units Overseas Chapter. The Dr. Aura-Lee A. and James Hobbs Pittenger American History Scholarship is an award of $2,000 each year for up to four years with annual transcript review by the National Chairman required for renewal. Description: Scholarship is open to students 25 years of age or older who are college sophomores or higher with at least a 3.5 GPA. This scholarship is intended for students who are studying to teach at the elementary or secondary level. Description: This scholarship is open to incoming college freshman who are majoring in Culinary Arts or Food Science. Applicants must be U.S. citizens, legal permanent residents, or qualify for DACA. Description: Scholarship is open to students with high scholastic standing who have been accepted into or are pursuing a course of study to become a medical doctor (no pre-med, veterinarian or physician assistant) at an approved, accredited medical school. There is a preference to females if the applicants are equally qualified. Description: Scholarship is open to female students who are U.S. citizens and currently attending medical school. Description: Scholarship money is available to offspring of those working in the financial services industry. Each GAR scholarship is worth up to $50,000 (approximately $12,500/year) awarded to hardworking high school students who have a financial need. Description:The Women’s Board of Central Ohio Diabetes Association offers the college scholarship program to assist students with diabetes, residing in central Ohio, who will be attending an accredited public or private institute of higher learning in the fall as a full-time student. Description: Applicant must be a DREAMer who is DACA eligible and has applied for or received DACA approval. Applicants should be a first time college student and intend to attend a partner college. Description: The ExploraVision competition for K-12 students engages the next generation in real-world problem solving with a strong emphasis on STEM. The contest categories are divided into: Primary Level (Grades K-3), Upper Elementary Level (Grades 4-6), and Middle Level (Grades 7-9) High School Level (Grades 10-12). Projects must also include an abstract, project description, bibliography, and five sample Web pages. 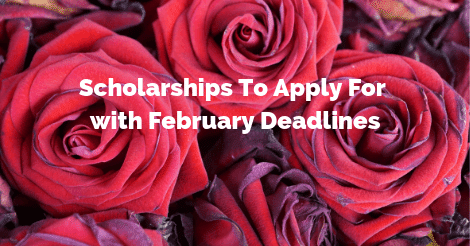 For more information or to apply, please visit the scholarship provider’s website.